Marie Wong is the most amazing real estate agent on the planet--seriously. Not hyperbole. She is honest, ethical, exceedingly intelligent, patient, understanding, responsive, and professional. I simply could not be happier with her and will tell everyone I know (hence this review) that they absolutely must work with her. We put Marie in a really challenging situation--multiple parties (including myself) were buying a home, and we had varying interests across state lines. To top it off, I chose a challenging lender (whom Marie did not know) and so she had to work with those folks too. Marie handled the entire situation amazingly well, and the result is that we ended up with a great home that we're really happy with, within our budget and in a great area. There were many things I appreciated about Marie--I'll try to list a few of them here. 1. She is sharp as a tack and knows the market really well. Her insight into the homes we saw was invaluable. What a difference it makes to work with someone who is dedicated to her craft. She has serious knowledge about every part of the home-buying process--and there is a ton of stuff to know! 2. She was so, so responsive and was always there for us.. From my first phone call with her to the moment we got the keys, Marie was always ready to help. I can't tell you how important this is, given the stresses of the home-buying process. 3. She navigated all the different parties beautifully, from the lender to all of us who were buying the home to the other real estate agents to the title company. This required nothing short of mastery on her part. 4. She handles stress like a a champion. I'm sorry to say that we put her in some stressful situations, and Marie handled them as if it was nothing. 5. Marie is a genuine person with great integrity. There was not a moment when she urged us to do something against our interests. She always looked out for what's best for us, to her detriment at times--for example, for good reasons she gently nudged us against bidding on a property early in the process, even though doing so would have saved Marie a ton of time. I'm not sure what I did to deserve working with someone as awesome as Marie Wong. But I am so incredibly thankful that she worked with us. Yuri G.
I have recently sold my house and bought a new house in Pinole with Marie. It was the first time for me to sell a house and I was very nervous but Marie was there to advise me each step what we need to do. Her staging and open house was a beautiful and was a great success. She is very knowledgeable in process and price was right, advice was to the point and both transactions were very smooth. Thank you Marie ! May S.
Marie was amazing to work with. I don't know about you, but I find real estate transactions to be very stressful, but Marie went out of her way to make the experience not only tolerable but fun. We bought and sold a house with Marie (at the same time) and both the buying and selling process were very smooth and stress free. Marie was fantastic at advising us at every turn, and went above and beyond to ensure that the entire process was well organized. She even staged our house free of charge, which most certainly helped us get top dollar (it's worthwhile to note that her husband and son came over on a weekend to setup the staging, which I found to be a bit awe inspiring). By the end of it all Marie became like part of the family in the process. I've worked with my fair share of real estate agents, and finding a good one is difficult. You can't go wrong with Marie, I promise you that! Thomas B.
I cannot begin to express my gratitude for all you've done. I couldn't have asked for a better realtor to represent me. An otherwise potentially stressful situation was avoided because of your advice, concern and follow up. I felt you were truly concerned about what was in my best interest and you worked very hard to get the best deal for me. Lilia L.
I was in the middle of a custody battle and divorce when it came time to sell my house in Hercules (I was in Sacramento at the time), an incredibly painful and tumultuous time in my life. I am afraid to say that my ex-husband and I were unable to maintain civility, and when he suggested Marie, I am ashamed to say that I was immediately and vehemently opposed. From the very first meeting I had with Marie, a meeting that followed a stressful 1.5 hour drive from Sacramento to Pinole, Marie was professional, insightful and knew just the right things to convey to win me over. Over the time that passed, every interaction I had with Marie was consistently efficient, informative and painless - whether it was over the phone, text or email. She was also able to endure my ex, my goodness does that ever take patience and people skills (maybe the ability to tune out as well)! Seemingly small details arose, like furniture I needed to drive from sacramento to pick up in my tiny Prius, that became a nightmare for me. Marie not only agreed to take pictures of the furniture for me and help me sell it, she actually polished it for me to help me get the most I could - the transformation she created was nothing short of a miracle! I know without a shadow of doubt, how fortunate I was to have Marie as my relator (and problem solver) during the most difficult time in my life. She was a bright light in the darkness that was the sale of my house and the end of my dreams . I HIGHLY recommend her to people I love and care about, acquaintances, strangers and even a few undesirables. You simply can not do better than her. Miya W.
I had the pleasure of working with Marie on a home sales transaction. I feel fortunate that Marie was a part of this process and highly recommend her. I find Marie to be very professional, trustworthy and ethical. She is very responsive and kept me informed every step of the way. She is patient, conscientious, genuine and easy to talk to. The entire transaction went very smoothly with her help because she was so thorough and thoughtful. What characteristics do you look for in a realtor?! Cyndi C.
When it came time to put my Hercules house on the market, I immediately went to YELP to find an agent. I read all the various agent's reviews and decided to contact Marie Wong. Initially, my wife and I wanted to interview Marie first and then probably one or two more other candidates. She came fully prepared with comps, reports, analysis, etc. My wife and I felt great vibes with her at this first meeting and decided not to interview other agents. We entered a listing agent contract with her right away. I would like to use 5 different categories which lead to my decision to rate her as FIVE STAR. Expertise/Knowledge: I believe this category to be the most important in order to be qualified as an outstanding agent. This means they are well versed in areas such as the current market situation, legalities, ads, etc. The list is a mile long and mistakes cannot be made. Marie has outstanding expertise and knowledge about real estate. Organizational Skills: An agent must be organized in order to be successful. She'll set all the priorities in the right order and avoid any unnecessary/avoidable confusion. Marie is very organized because she has single focus to all details. Communication Skills/Responsive: During the entire course of listing your house to closing escrow and even moving out of the house, there are literally hundreds of times when both parties must communicate with each other. Bad communicational skills can lead to misunderstanding and costly errors. Marie has outstanding communicational skills in both writing and speaking. The thing that frustrates me the most is when an agent is not responsive or doesn't get back to you right away. As a seller, I was already under tremendous duress because my new house was "NON CONTINGENT" so I faced the possibility of losing my $13,000 deposit! If an agent is not very responsive, it will surely lead to ill feelings towards them. Personally, I prefer most correspondences in the form of emails and Marie gathered that right away. However, when it came time for really important matters, we talked on the phone. Communication and being responsive is a TWO WAY STREET for both an agent and the seller though. Character/Personality: Marie is very honest and ethical! Her agenda is to sell your house and do what's best in her client's interest. She's always friendly and never acts like she's having a "bad day." We all know that this isn't true for any agent but she's always calm and upbeat on a daily basis. Recommend or Not: The final litmus test for this review is "Would I recommend or use Marie again for future real estate dealings?" The answer is: "YES! YES!" Not only will she get it done but will do it in a way in which it'll be the least amount of stress for her clients. Way to go Marie, keep up your great work! Bob C.
Marie is now a part of our family, she helped my sister by her first home and now me. Let's just say the process which is supposed to be really stressful was easier than I thought because Marie handles all the hard stuff and she is very thorough and the best at following up. She good at getting you what you want and willing to go to bat for you! Michelle M.
Marie helped us sell our home recently. Since we had made a deposit on a new home, it was critical that our transaction was handled properly with no margin for error. Thankfully, Marie was exactly who we needed! She met with us numerous times, helped stage the home, offered suggestions and referrals for repairs/improvements, hosted open houses, created marketing materials, an online virtual tour, and presented our 7 offers in great detail. Marie worked with us for months and was consistently professional and reliable. The stressful sales process was made much more enjoyable by working with Marie. A true professional, Marie took the time to get to know us and our needs to best help us through the process. She listened to us and worked as a partner to make sure everything went smoothly. End result - we sold our home for $35k over our asking price at exactly the right time. Very happy to recommend Marie to my friends and colleagues. Thanks for everything, Marie! Nathan P.
Marie has everything it takes to get the job done. In the short time we worked with Marie while buying our new house and selling our old house, I learned so much from watching her. As with most jobs, relationships are critical to success. Whether we needed a contractor to repair something, a mortgage professional to help with financing or a home inspector to check things out, Marie had the perfect recommendation for us. She's delightful to work with--always responsive to our questions and concerns, and has that calming "talk me off the ledge" way about her. Marie knows her stuff. Neither my husband nor I can imagine trusting anyone else but Marie Wong with the biggest financial decision we will ever make in our lives. Jodi O. We want to thank you for all your support and guidance with selling our home. This was our first experience selling a home, so we relied on your experience and direction. Needless to say, you exceeded our expectations. Your communication skills are excellent. You kept us updated every step of the way. The expected timeframe you gave us stayed on track throughout the listing and selling process. Marie, using your knowledge and experience, you were able to answer all of our questions. We appreciated your friendly and approachable style. The amount of written information was overwhelming at times, but you patiently answered some of our questions more than once. The escrow process went relatively smoothly. We believe much of that had to do with your ability to work well with the buyer's agent. Again, during escrow, your experience became evident to us. We want to thank you so much for all your efforts in helping us sell our home. We would recommend you to anyone selling a home in the East Bay. 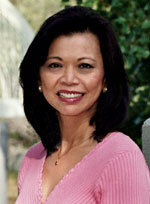 David & Joann G.
We want to commend and thank Marie Wong who did an outstanding job selling our house recently. This is the second time we have used her as our realtor and we have been extremely pleased and impressed. Not only is she very personable and pleasant, Marie is very organized, efficient, and professional. She handled our business with ease and positivity, no matter how challenging the selling situation presented itself. In this recent case, we were able to sell the house in a little over a month--from initial call to final closing date! Marie staged the house, as well as offered excellent recommendations for floor refinishers and other services. Everything was carefully considered and managed without a hitch! We will highly recommend Marie to everyone we know. Thank you for making this transaction pleasant and effortless. Jerry & Julie L.
It is a pleasure for me to write this review for Marie. I am a very happy customer and really enjoyed working with her in selling our property that just completed and recorded. We bought the property from the builder and have been the original owners for 24 years. Our son grew up and finished dental school living in this house. He is married and is practicing in another state now. This has prompted us to seek other living arrangements to ease our maintenance tasks. We finally decided to sell the property, with a few tears. We found Marie after researching locally and reading her past reviews. We decided that she is the agent to handle the transaction, though there were many other recommendations and able candidates. It worked out perfectly with no disappointment in each step and each thing that needed to be carried out to bring it to closure. We could not possibly get a better realtor-client relationship than the one we had with Marie. Marie has integrity, commitment, and a great heart, which are qualities I never expected to find in a realtor. She is also an expert in the field and very knowledgeable in all facets as I watched her follow up with loan officer, appraiser, buying agent, escrow officer, loan processing agents, contractors. She just gets things done--effectively and efficiently. To top it off, she not only guided us through the process, but also provided us with quality, constant and prompt communication for status and updates. We knew exactly what stage or state we were in and what to expect next. What a pleasure to have this kind of service from your agent. She is reachable at all times, and she either picks up her cell right away or will call or text back to re-connect and/or give the answer(s). I love her planning for escrow signing, and electronic signing that saved us time and travel--obviously, she is adept at the technologies of today and being an MBA and a seasoned professional. We were lucky to spend just 2 weekends showing the house and had buyers submitting bids already. She helped us choose the potential buyer from competing bids. We sold the property with almost 10% over asking price. The deal was closed with big thanks for her helping out the loan processing by checking and coordinating to get all requirements met by all parties. My sale was a good experience for me. It went much better than other real estate transactions I have had with other properties. I really recommend that you check her out and talk to her about your upcoming real estate transaction, be it buying or selling. I have no doubt that you will be well taken care of. I love sharing this with you. Marie not only duly earns her commission, she is worth much more. She is a STAR and she is the BEST. Marie deserves an all 5 star rating. Ivan C.
Marie Wong is the personification of professionalism and customer service. I found her to be knowledgeable, responsive and responsible throughout the transaction. She always attacks everything proactively, so potential glitches were identified and addressed in a timely manner. My sale entailed issues which were atypical of a normal transaction. Marie consulted relevant experts and researched the issue. When all was said and done, she provided me with everything I needed to know and what to do to resolve the issue. She always made sure I was informed in all matters and advised of options and alternatives. Even though she carries a heavy client load, it was transparent to me, she was always available whenever I needed her. I give her my heartiest endorsement and recommendation! Bruce L.
We cannot thank you enough for helping us get the home of our dreams! We had no idea what this process would bring for us, but having you by our side through it all made us feel so comfortable and confident. Not only are you a rock star when it comes to real estate, but you are absolutely the sweetest person ever! Working with you felt like we were working with family, and that meant a lot to us. Kim T.
We would recommend Marie for any type of real estate transaction. With her expertise, she made the sale of our house stress-free. She is very knowledgeable and has superb communication skills. From initial evaluation to staging, to home preparation suggestions, Marie is absolutely wonderful to work with. She also has a network of very competent and reliable professionals such as contractors, carpet cleaners, etc. that she has worked with and can recommend. What seemed to be an overwhelming situation, became very manageable through her step-by-step guidance. She was also great at letting us know how things were progressing with the transaction. We were very pleased about the successful outcome. Moreover, Marie is a very professional, yet very genuine person. She is a pleasure to know and work with! Julie L.
I found Marie Wong by chance when I was looking online for a real estate agent to help sell my mother's house in Hercules. I found her name on realtor.com and when I went to her website and read all the testimonials, I felt confident that she would be a good choice. I called her and set up an initial face-to-face meeting with myself and my brother. As soon as we met her, we were impressed with her professionalism, knowledge and commitment to selling our Mother's house who recently passed away. We told her that we were still in the process of clearing my mother's house and she walked us through a step-by-step process on what we needed to do to get the house ready for market. She recommended some cost-efficient upgrades and dependable contractors that she worked with previously. As soon as the house was cleared, she met and dealt with all the contractors needed to get the house repaired and ready. We didn't even have to drive across the bay since she sent us daily updates and before and after pictures of the repairs. This really saved us a lot of time and effort in having to drive across the Bay. She also helped us stage the house and did research on all comparable sales in our area. We were in constant communication and she saved us a lot of time and money in having to handle the upgrades ourselves. This project would have normally taken months to complete; however, Marie completed it in only a few weeks. When the house was finally shown, we received offers within only a few days and we were very satisfied with the sale price. Marie is truly a remarkable real estate agent and not only is she very professional, but trustworthy and a very kind person. I can't say enough nice things about her except that we not only met a great real estate agent, but we also gained a very good friend." Marleen R.
We cannot thank you enough for how painless you have made the process of selling our home. When we decided to sell, we were concerned that we would end up with an agent who would disappear after we gave them the listing. You were exactly the opposite. After we chose you, you only seemed to work harder to not only sell our house but to make our move as easy as possible. We never dreamed that the sale that we were expecting to be a long, drawn-out ordeal would only take a month from start to finish, and we know that we have you to thank for that...Your commitment is unparalleled, and we can only hope that others will choose you so that they can benefit from it as well. Steve & Jenny L.
If you live in the East Bay and looking for a real estate agent--I would HIGHLY recommend Marie Wong. I entrusted her with the sale of my brother's home and could not have done it without her. She made recommendations as to how to improve the property, she accessory staged the home with her own items for free and walked me through every step of the way. The house went on the market on a Wednesday and we got the first bid on Saturday. The whole process went quite smoothly due to Marie's knowledge, determination, and hard work. You will not be disappointed if you choose her for your real estate needs! She is truly the BEST!!! Roxanne C.
Thank you so much for everything that you have done for us. Out of all the realtors we used, you were by far the greatest! Thank you for going above and beyond with everything you did for us. You made the whole home buying craziness manageable, and you gave us hope and strength we needed to get through it all. We couldn't have gotten such a great home without you. We will always tell everyone how great you are and recommend that they use you for their real estate needs. We thank you greatly. Dave & Andrea S.
When people ask how we sold our house so quickly in today's market, we simply say, 'We had Marie Wong as our agent!' Your expertise, reassurance, sense of humor, flexibility, ongoing communication and exceptional patience with us made the whole transaction 'easy!' We had no idea how challenging and complex consummating a real estate transaction is these days. You responded quickly to all of our questions day or night and reassured us when unforeseen situations arose. Thank you for consistently exceeding our expectations! Donna & Michael C.
Thank you so much for all of your help and tireless effort! I know the process was frustrating for both of us and took far longer than expected, but it all worked out in the end. Your explanation of all the details and extra time put into this endeavor is greatly appreciated. Because of you, I now have a new home! Cory C.
I want to thank you from the bottom of my heart for all the hard work you've put into making this real estate transaction happen! You've gone above and beyond your duty and responsibilities to help me...your kindness, your thoughtfulness and your generosity have touched me deeply. You're not just a fantastic agent, but you're also a wonderful person! Thank you for being you, thank you for being in my life. Vivienne W.
You have been a Godsend to us, on all accounts. We have never met a realtor who cares this much for her clients, with so, so much kindness, warmth and courtesy! We want to shout out and say, "Please go to Marie!" We not only met our realtor, but we have a friend now in Hercules...and we are so proud of it. Thank you for all you have done, over and over again!!! You are amazing! Mark & Shashi K.
After the death of my mother, my siblings and I were tasked with settling her affairs, including selling her condo. Marie, you were one of three realtors that came recommended to us. Upon meeting you, we all were impressed with your energy and ideas with how to get the condo to the market and sold. As executor of the estate, it fell to me to make a decision, and you made it easy. With your finger on the pulse of the market and trends, you quickly assessed what needed to be done and lined up the help we needed to fix up the condo...the repairs to the place came effortlessly, and the results, amazing. You were able to market and stage the condo so well, we received 8 offers, all higher than the asking price. After accepting a bid, you stayed on top of every item that needed to be filed and papers to get signed. My complements, and hats off to you; one of the best real estate agents ever! Kim T.
From the day we met to this date, you have shown me that your abilities were greatly underestimated and have gone beyond what I had imagined! I am truly impressed. My thanks to you and all your efficient resources that transformed our Mom's condo to a gem that is sure to sell. (After it sold)...I have no doubt at all that it could not have been accomplished in such a rapid and efficient manner without your orchestration! Mere words are not enough to thank you from the bottom of my heart. Craig T.
From the moment we listed with Marie, she was always either at our house or keeping in close contact through telephone calls during the critical period of getting the house ready, to the initial marketing efforts, and throughout the escrow process. She was not only our reliable realtor, but she became an extension of our family. We always felt her unwavering empathy for our needs, and she always had a positive attitude. She helped to ease our apprehension and guided us through the oftentimes, unnerving process, always communicating with us. She was right beside us all the way leading us through a transaction that just flowed smoothly from start to finish. We've been very impressed with her friendly personality, energy and how she handled the entire process with such professionalism. Our only regret is that we didn't know about Marie earlier so we could have avoided the frustration of our initial listing and the time we wasted. Jim & Angie A. There are no words to accurately describe this journey we've been on over the last three months. The selling of one's house is always a stressful endeavor, but to do so in a housing/economic crisis only intensified the situation. Throughout all of the anxiety and uncertainty, you were consistently there--always smiling, calming, and reassuring us that our goal would be met. There were days when nothing seemed to go right, but the one thing we always felt confident about was that we had the best agent for the job. We never felt rushed, overlooked or neglected in any way. In fact, your humor, professionalism and dedication made us feel like your only clients. We did it, Marie! We will never forget you and the job you did on our behalf. You were a class act until the very end. We will always speak highly of you to everyone we know. Many, many thanks! Star & Derek T.
I have all great news to say about you. You're more than a realtor, you feel like a friend and to be quite honest, the way you treat us, respond to us, etc...like family. You are the best realtor we've had and we've had many over the years. We appreciated your knowledge, hard work, energy, warm personality and personal service. You are what all realtors should model. Verna C.
We truly appreciate your giving 100+++% in helping us to make our purchase and closing the deal! All the while, with our questions and problems, you went to bat for us--the whole process was made easier and smoother because we had the security and confidence that you were always watching our back, always having our best interest at heart. Thank you, Marie, for always going the extra mile for us, generously and unassuming, in all aspects with your time, energy, and expertise! Loc & Judy T.
You are such a pro! Your enthusiasm and attention to detail were greatly appreciated. You're a woman with an incredible heart. Working with you was a joy that will never be forgotten. Stephanie L.
You have no idea how much we appreciate the 100 miles above and 100 miles beyond you have gone to help us. Chris D.
Marie is kindness and professionalism personified. Marie spent countless hours with us, always cheerful, always available, as we searched for a place we loved and wanted to call home. She made recommendations when appropriate yet never came across as forceful, always patient and helpful. We always felt 110% comfortable speaking with her, confiding in her and knowing she was being forthright with us and our options. She went to bat for us with the seller's agent, ensuring we were receiving the absolute most from our investment. Marie will be our agent again when we eventually sell our home. We so look forward to working with her again. More importantly, we value the relationship we've built with her and are proud to call her friend, family and confidante. Jolie T.
You are perfect. There's no other word to describe the job you have done in selling our house. You sold our house like it was your own. Kam W.